In developing a comprehensive plan to comply with the new Joint Commission standards, it is clear that individuals who use fluoroscopic equipment will also need comprehensive initial training on the safe use of fluoroscopy, and that certain individuals will need to understand the key elements of a patient safety program in fluoroscopy. The Joint Commission requires that accredited healthcare organizations develop and follow their own policies and procedures that comply with accreditation requirements. FluoroSafety offers multiple initial training options which also address techniques and strategies from Image Gently®, Image Gently-Step Lightly®, and Image Wisely® for reducing patient and staff radiation doses. Our top quality educational activities follow the recommendations of NCRP Report No. 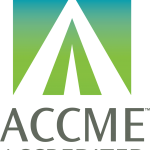 168, meet accreditation standards of The Joint Commission, and provide Self-Assessment CME (SA-CME) MOC credit for most ABMS member boards, including the ABIM, ABR, ABS, ABPMR, and ABA. Click here for more details on MOC. Techniques for minimizing dose to the patient and staff. The Advanced Training Program on the Safe Use of Fluoroscopy from FluoroSafety meets these training requirements. NCRP Report No. 168 recommends condensed training for other users of fluoroscopy, a need that is met by our Basic Training Program on the Safe Use of Fluoroscopy. Individuals who are interested in understanding how to establish Substantial Radiation Dose Levels (SRDL) and reference levels, or in strategies for improving the patient safety culture in their fluoroscopy practice, will find what then need in Establishing a Patient Safety Program in Fluoroscopy.